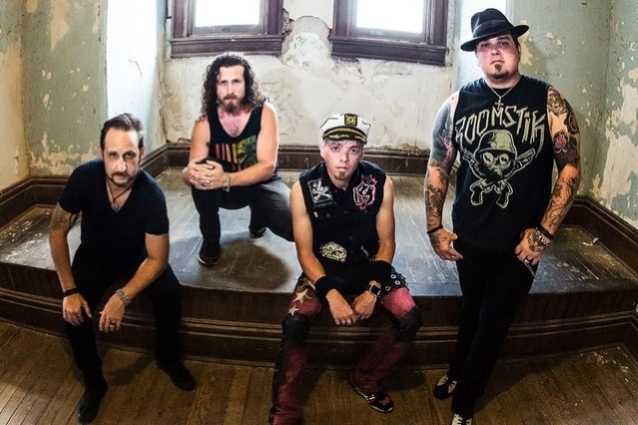 Share the post "Video Premiere: BLACK STONE CHERRY’s ‘My Last Breath’"
Kentucky rockers BLACK STONE CHERRY have released a music video for their song “My Last Breath”. The track is taken from the band’s latest album, “Family Tree”, which came out in April 2018. As was the case on 2106’s “Kentucky”, the BLACK STONE CHERRY members opted to produce and track “Family Tree” at David Barrick‘s Barrick Recording in Glasgow, Kentucky, the same studio where the four-piece recorded its eponymous debut. BLACK STONE CHERRY said in a statement: “We’re so pleased to share our new video ‘My Last Breath’ today. BLACK STONE CHERRY is in the middle of a 27-date U.S. tour in support of “Family Tree”. The trek includes festival stops at Rocklahoma, Thunder Mountain Music Park and the Tail Winds Music Festival.